We at the Tom Farrell Institute for the Environment (TFI) wish to invite you to our Clean Energy conference. 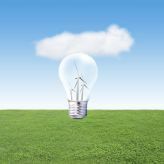 Planned for 21st November 2014 at Kurri Kurri TAFE, the conference aims to showcase regional solutions for renewable energy. This will enhance the renewable sector and wider community's awareness of current and future challenges and opportunities. We understand and appreciate your ongoing interest in sustainable power. If you wish to present a poster please submit an abstract of 200 words by 31st August 2014 to Tim.Roberts@newcastle.edu.au Trade Displays Booths will be available at a cost of $250-$500 per table. Exhibitors should provide own display stands.